When I think “body modifications”, my mind instantly turns to tattoos, breast implants, nose jobs, prosthetics and sub-cutaneous chip implants. Food never even crosses it. That is partly due to the fact that, for at least ten years, food hasn’t had much of an effect on my appearance, weight and overall shape. As someone recently pointed out to me, however, that is not the case for most people. Many have a remarkably good grasp on exactly what changes different kinds of foods will trigger in their bodies: how much beer or bread will result in a belly, how many cupcakes stand in the way of their ideal figure. Food consumption is regulated by this tight balance between instant gratification and the desire to obtain (or hold on to) the most society-pleasing body we can afford. But what if we could use food to creatively modify the body? Of course, there are pathological examples at both extremes of the food consumption spectrum—namely starving and over-eating. Non-pathological, reversible changes are championed by method actors, with Christian Bale as an exemplary case. 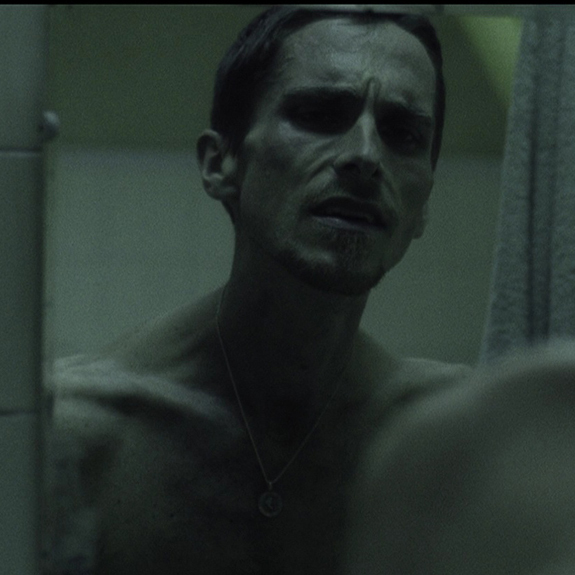 For the lead role in “The Machinist,” starring a man with chronic insomnia and increasing paranoia, Bale allegedly spent over four months consuming only an apple and a cup of unsweetened coffee daily, and losing a total of 28 kilograms. Soon after, he re-gained about 50 kilograms in preparation for his role in the blockbuster “Batman Begins.” Now, without pushing our bodies to such extreme and dangerous oscillations, could we curate more slight, minute changes in our appearance? Could we devise specific sets of “food algorithms” and chart ingredients and dosages according to a conscious, expressive intent? Cosmetic foods may be designed to exaggerate bodily responses, to simulate allergic reactions or cause temporary, circumscribed swelling. They could momentarily alter the size and weight of body parts, or their shape. New gastrono-cosmetic maps may describe a fluctuating body—a plastic envelope periodically re-negotiated between interior and exterior.